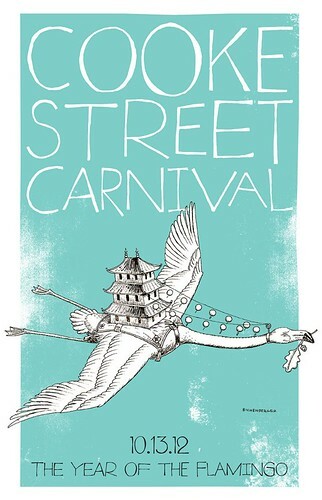 The Fourth Annual Cooke Street Carnival returns to Raleigh this Saturday. This is not your typical carnival, it is more like a large family friendly street party featuring food trucks, live bands, street performers, eating contests, and over 40 art vendors. To get an idea what the carnival is like, check out this slide show of last years festivities. The carnival is a non profit event that benefits the Food Bank of Central and Eastern North Carolina. The weather forecast looks absolutely perfect for the carnival this year and I look forward to checking it out. For more information about the Cooke Street Carnival visit their website or check out this great post by NewRaleigh.com for additional details.